← But is it Art? 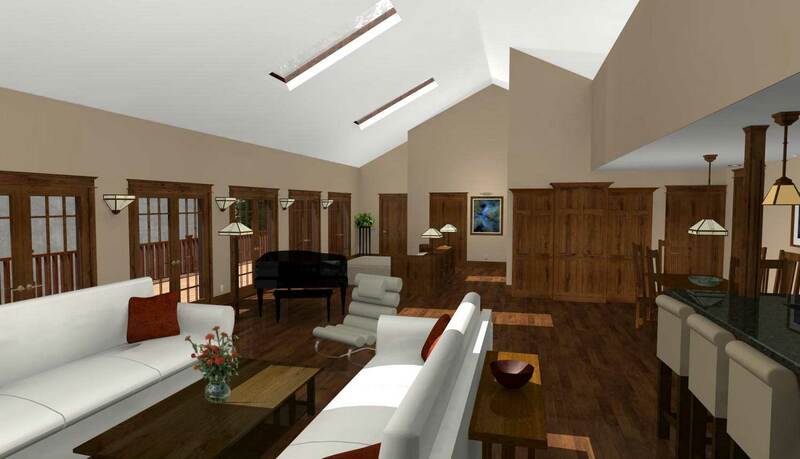 This entry was posted in Guest Posts and tagged 3D, Chief Architect, Home Visualization, raytracing, renderings. Bookmark the permalink. Thanks, Chris — But it’s Chris Brown we need to thank. I’m waiting to hear YOUR 3D design story, too! Most people don’t make decisions with their head, they make them with their heart. No matter how much logic and data you pump into a situation, emotion is always the prime driver. If you want to create influence, motivate the emotional side of the buyer. And, when it comes to tapping emotion, few things are more seductive than aspiration. I think that’s part of what can be accomplished with good 3D renderings and raytraces: appeal to the customer’s emotions and show them what they can aspire to.